Rugged. Tough. Practical. The CM Trolley is not a toy, operating at an impressive 1500 psi this is a cold water electric pressure cleaner is ready for some serious work. 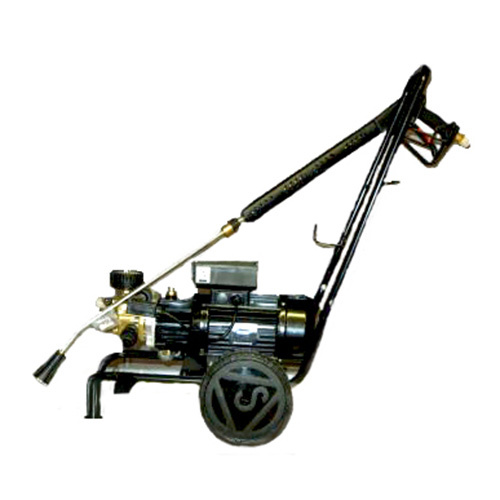 This high pressure cleaner comes trolley mounted with a slow speed pump, auto stop and wire braid high pressure hose. The unit is ideal for the owner operator that wants a reliable professional high pressure cleaner that's easily maneuverable and built to last.